After a hard-fought fourth place finish in Azerbaijan, Sebastian Vettel has made his return to the winners’ podium thanks to a second-place finish at the Austrian Grand Prix earlier this month. Vettel thereby furthered extends his lead in the Drivers’ Championship, surpassing rival Mercedes driver Lewis Hamilton to 20 points. Fellow Ferrari driver Kimi Raikkonen also had a solid finish, placing fifth overall in the Grand Prix race. Vettel finished behind Mercedes driver Valtteri Bottas, logging in 71 laps and a time of 1:21:49.178, just 0.65 seconds away from first place. Kimi Raikkonen placed fifth, completing all 71 laps with a time of 1:22:08.890. The lead Vettel had over Mercedes driver Lewis Hamilton, who is currently in second place in the Drivers’ Championship increased this race, who was absent from the winners’ podium after a fourth-place finish more than seven seconds behind Bottas and Vettel. After its exciting finish in Spielberg, Austria, Ferrari, and its drivers will be continuing on in the Formula One racing championships in hopes of further victory. The next race will be taking place at the historic Silverstone circuit in England on July 16. For more information on Ferrari’s performance throughout the 2017 Formula One Championship, you can check out the rest of the Continental Ferrari Blog. You can also check back with us later for the results of any other upcoming F1 races. 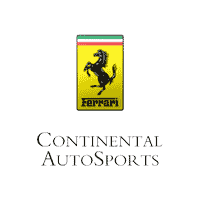 If you’re interested in the Ferrari lineup currently available here at Continental Ferrari in Chicago, IL, we’ll be happy to answer any questions you may have. Simply give us a call or contact us online for more information.